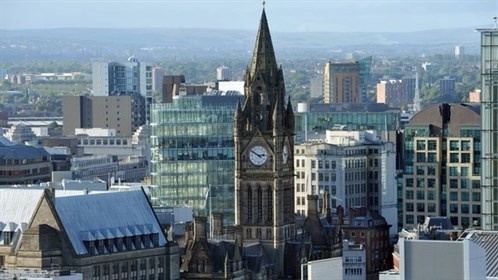 NHS Improvement (NHSI) has now approved the proposed merger between the financially struggling Manchester Mental Health and Social Care Trust (MMHSCT) and Greater Manchester West Mental Health NHS FT (GMWMHFT), with the merger to take effect in the New Year. The pair will join together to form a new single trust, Greater Manchester Mental Health NHS FT (GMMHFT), as of 1 January 2017 in plans which were approved by NHSI yesterday. The new trust will provide care for people living in Bolton, Salford, Trafford and Manchester, with specialist services covering Greater Manchester and further afield. NHSI’s executive regional managing director for the north, Lyn Simpson, said: “I am pleased to see that the months of work to join the two trusts is now coming to fruition. Service users will see the benefits of the new trust’s joint expertise early in 2017 as it begins to make planned improvement. The takeover of MMHSCT will lead to a more integrated mental health service in Greater Manchester in line with the NHS’s FYFV and the region’s health and social care devolution plans. The integration of the two organisations will bring a new Section 136 suite for those experiencing a mental health crisis in Manchester, revised service models to provide 24/7 community and home-based care, and environmental and property improvement schemes to improve patient experience, among other expected benefits. Lord Peter Smith, chair of Greater Manchester Health and Social Care Partnership, described the merger as an “essential step” in Greater Manchester’s transformation programme. GMMHFT is also expected to have a strong innovation agenda, as it will fund frontline voluntary and third sector partners to develop innovative practice and conduct enhanced R&D into mental health to develop new treatment solutions for local patients.